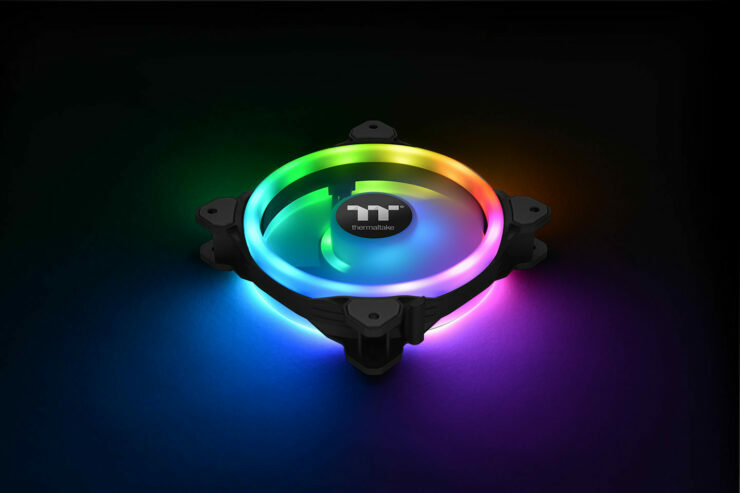 Thermaltake has launched the Riing Trio 14 LED RGB Radiator Fan TT Premium Edition (3-Fan Pack) today as the latest addition to the Riing Trio fan series. The Riing Trio 14 features a PWM controlled 140mm high-static pressure fan and 3 independent 16.8 million colors LED rings that are pre-installed with 30 addressable LEDs in total. As a member of the TT RGB PLUS Ecosystem, the Riing Trio 14 provides LED lighting and fan speed customization via Thermaltake’s patented TT RGB PLUS Software, TT AI Voice Control, and Amazon Alexa Voice Service. Users can sync the Riing Trio RGB lighting effects with local or international weather conditions as a fun way to read the weather. In addition to the latest software support, the Riing Trio 14 is also equipped with high quality hardware technology, the long-life hydraulic bearing, anti-vibration mounting system and compression fan blade design to guarantee excellent cooling performance and quiet operation. 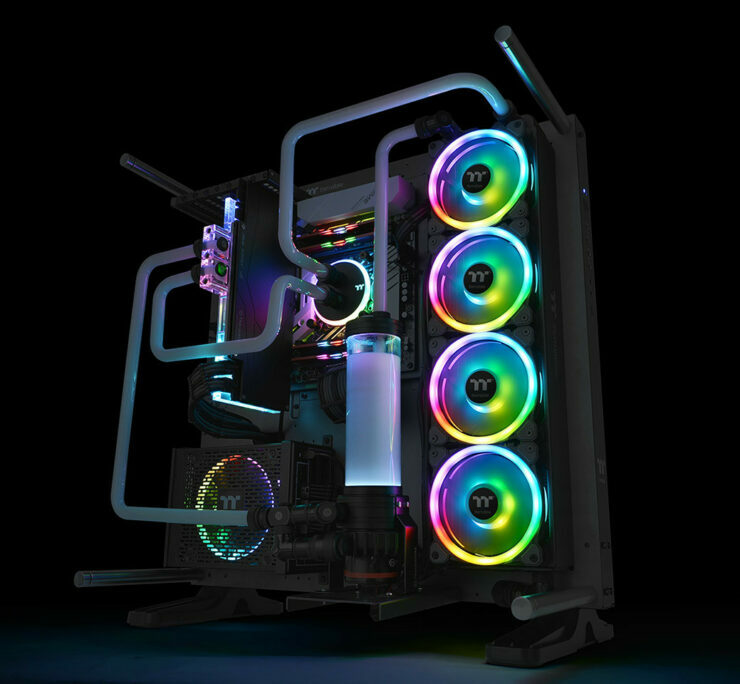 Complete your PC build with the gorgeous Riing Trio 14 RGB Radiator Fan TT Premium Edition. 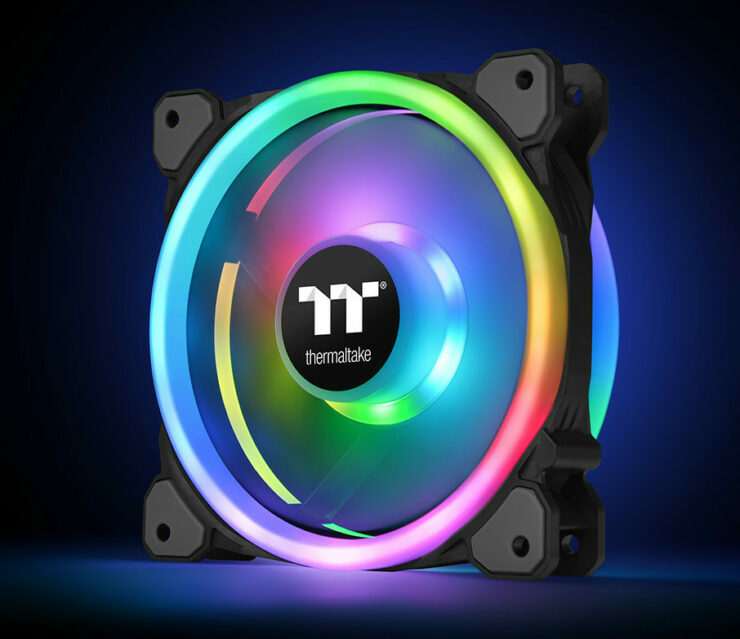 As we’ve covered before Thermaltake allows you to uses thier TT RGB Plus software and app to change fan speed, adjust RGB lighting as well as use voice control or connect it to Amazon Alexa’s voice service. The fans are PWM controlled with their nine blade design to generate higher airflow while keeping silence a priority as well as their in-mold injected anti-vibration rubber pads which shouldn’t be as flimsy as the glue solution most companies use. The new Riing Trio 14 LED RGB Radiator Fan TT Premium Edition (3-Fan Pack) is now available for purchase, via the Thermaltake worldwide network of authorized retailers and distributors. Riing Trio 14 RGB is backed by a two-year warranty and supported by the Thermaltake worldwide customer service and technical support network.